Image: Hebcal.com logo superimposed on an old fashioned wall calendar. Every Jew needs access to a good Jewish calendar. There is a prodigy somewhere who can keep track of all the ins and outs of the nineteen-year cycle of the Jewish year, but the rest of us need a little help. We offer a powerful custom Jewish calendar tool that lets you generate a list of Jewish holidays for any year (past, present or future). Also available are a Hebrew date converter, Shabbat candle lighting times and Torah readings(both full kriyah and triennial system), and a page to look up yahrzeits, birthdays and anniversaries. If you find that you use the calendar often (or all the time, like me) remember to support it with a donation, so that Michael Radwin and Danny Sadinoff can continue to provide this labor of love. If I could have access to only one site on the entire Internet, this one would be it! Posted on April 24, 2019 April 24, 2019 Categories Especially for Beginners, The Jewish YearTags CalendarLeave a comment on The Best Jewish Calendar? Some of you have noticed that there is disagreement at the moment about which is the proper Torah reading for the week right now. The calendar from the Jewish funeral home says one thing, the weekly email from a Reform synagogue says another! Let me try and unravel this for you. Every year, we read the Torah once through, beginning and ending on Simchat Torah. On leap years, like this year, we adjust the calendar by adding an additional month of Adar – four more weeks! In those years, every Torah portion gets a Shabbat all to itself. On “regular” years, when there is only one month of Adar, some of the portions are doubled onto a single Shabbat. In those years, you get combined portions, like Veyakhel-Pekudei, Tazria-Metzora, or Acharei Mot-Kedoshim. Add to that that sometimes a holiday falls on Shabbat, crowding the Torah portion onto another week. Again, when that happens, we normally double things up with another portion. Yes, that’s complicated. But that’s not all. Jews have historically followed a practice in which chagim (holidays mandating no work) are observed for one day inside the Land of Israel and for two days outside the Land of Israel, in the Diaspora. The reason for this was communication technology: when holidays were set by moon observations from the Temple Mount, and word of them was communicated by signal fires, Diaspora communities had to estimate the day of the holiday and then adjust when they finally received the word. To safeguard against mistakes, they took to observing all the chagim for TWO days (for instance, the first and last days of Passover are a single day inside Israel, but are doubled in the Diaspora.) Holidays that aren’t work-is-forbidden days (Chanukah, the middle days of Sukkot, etc.) were never doubled. Many Reform congregations in the United States follow the Israeli calendar, because Hillel II came up with a calendar in the 4th century that made worries about communication obsolete. Reform Jews observe one day of each chag, just as Israeli Jews do. Rather, I should say some Reform Jews do – some Reform synagogues observe only one day of chagim but follow the Diaspora calendar of Torah readings. This year (5776) (aka 2015-2016) we have a leap year, so no combined parashiot. However, in the Diaspora calendar, the second day of the end of Passover fell on Shabbat, so that had a Passover reading instead of Acharei Mot, which Israeli and some Reform Jews were reading. The two schedules will not come back together until the Diaspora calendar doubles a Torah portion on August 6, Matot-Masei. Then the discrepancy will end. I wish I could have made this simpler for you. The real rule, as with so many other things, is to follow the minhag [custom] of your community. If your rabbi is following a particular schedule of Torah readings, that’s the right one for your synagogue. In my weekly listings, I’m following the Diaspora schedule of readings, even though I’m a Reform rabbi who doesn’t celebrate double chagim. Or, if you prefer, because I decided to do it that way! SIMPLE SUMMARY: The schedule for reading Torah portions is the subject of disagreement at the moment. Consult your rabbi for what to read this week. Whatever’s going on, it will resolve itself after August 6, 2016. Welcome to Judaism! Posted on May 28, 2016 Categories D'var Torah, Israel, The Jewish YearTags Calendar, Diaspora, Parashah2 Comments on Torah Schedule Mysteries Revealed! Shana Tovah! and Happy Tishri! In all the excitement of the New Year it is easy to lose track of the fact that it’s also a new month. 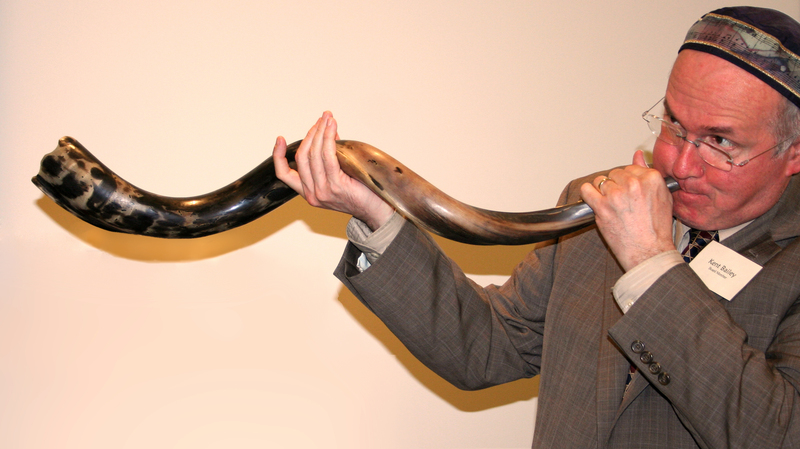 Rosh HaShanah is also Rosh Chodesh Tishri, the first of the month of Tishri. There is also a minor fast day, Tzom Gedaliah, which memorializes the death of a righteous governor of Judea in the years after the destruction of the Temple by the Babylonians. Read 2 Kings 25: 24-25 or Jeremiah 41 for the story. Posted on September 29, 2014 September 28, 2014 Categories The Jewish YearTags Calendar, High Holy Days, Tishri4 Comments on Shana Tovah! and Happy Tishri! Why is the Jewish Calendar so Weird? Elul, the month of looking inward, is almost over. Wednesday night is Erev Rosh HaShanah, the evening of the New Year. Jewish “days” start at sundown, because in Genesis 1 it says, over and over, “It was evening, and it was morning.” This is something that takes some getting used to, if you don’t grow up with it: the day begins when the sun dips below the horizon. The fact that you’ve been up for hours has nothing to do with it. There is no doubt about it, we are a stiff necked people, as the God of Israel comments to Moses in Exodus 32:9. Only a stiff necked people could insist on their own cockeyed timetable for thousands of years of diaspora, tripping over other people’s holidays and calendars and clocks and whatnot. Ask anyone who asked for Rosh HaShanah off this week: it’s a nuisance. Yet we stick out our stiff necks and insist on it year after year after year, annoying our bosses, confusing our neighbors, and making some paranoid types certain that we are Up to Something, an international conspiracy, perhaps. Why not accomodate? Why not assimilate? Why not go with the flow, for crying out loud? Pay attention, because some years, like this year, Rosh HaShanah is “early.” Mind you, it always comes on the first day of Tishrei, but if you usually live on the Gregorian calendar, this year 1 Tishrei comes on the evening of 4 September, which is unusually early in September. Pay attention, because while in the “regular” world it is 2013, in the Jewish world, it is about to be 5774. Notice the passage of time. Notice the cycle of seasons. Notice when the sun goes down and comes up, and that will require you to take your eyes off the computer screen, off the TV, off your own navel, and out to the horizon. Live out of step with the ordinary, so that you will step lively. Pay attention. Days pass and the years vanish, and we walk sightless among miracles. Lord, fill our eyes with seeing and our minds with knowing; let there be moments when Your Presence, like lightning, illumines the darkness in which we walk. Help us to see, wherever we gaze, that the bush burns unconsumed. And we, clay touched by God, will reach out for holiness, and exclaim in wonder: How filled with awe is this place, and we did not know it! Blessed is the Eternal One, the holy God! Posted on August 31, 2013 September 4, 2016 Categories A California Jew, Elul, High Holy Days, Jewish Time, The Jewish Year, UncategorizedTags Calendar, Elul, High Holy Days, Jewish Calendar, Jewish holidays, lunar year3 Comments on Why is the Jewish Calendar so Weird?